For those of you that are subscribing to our Fast Growth Weekly Tips, this post is a reprint. I got several comments on the tip and felt like sharing it with those that aren't subscribed. I realize that this may sound obvious, but lead generation needs to focus on starting the sales process, not finishing it. Yet despite that, I'm constantly perplexed by how often lead generation tactics focus on late stage/buy issues. 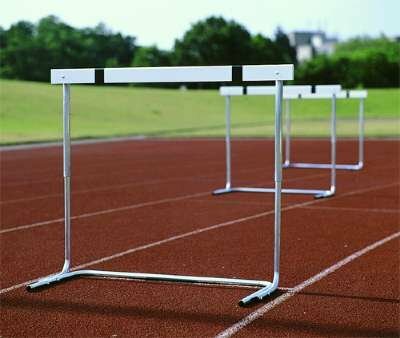 As a B2B selling organization there are two clear hurdles you must clear to successfully selling. The first hurdle is, "Why should I (the prospect) talk with you?" The second hurdle is, "Why should I (the prospect) buy from you?" Your selling process is all about the second hurdle. The purpose of lead generation is clear the first hurdle. When you focus your lead generation efforts on "selling" why people should talk with you even if they don't buy from you, your lead generation efforts will work far, far better than when you mistakenly focus on the sale. As I often advice my clients: " Stop selling and start helping." What are the top 3 problems that a prospect has that you can help them with? How can you communicate your ability to help them, without confusing that with how or why they should buy from you? is the focus of our lead generation message why people should talk to us, as opposed to why they should buy from us? By the way, if you're looking to get 2012 off to a great start (sales wise, at least), you won't want to miss our upcoming webinar on November 2nd: Successful Lead Generation for B2B Companies.